jeremy richter | photography :: blog: We Have Tomatoes! This is the greatest day in my short stint as a gardener. 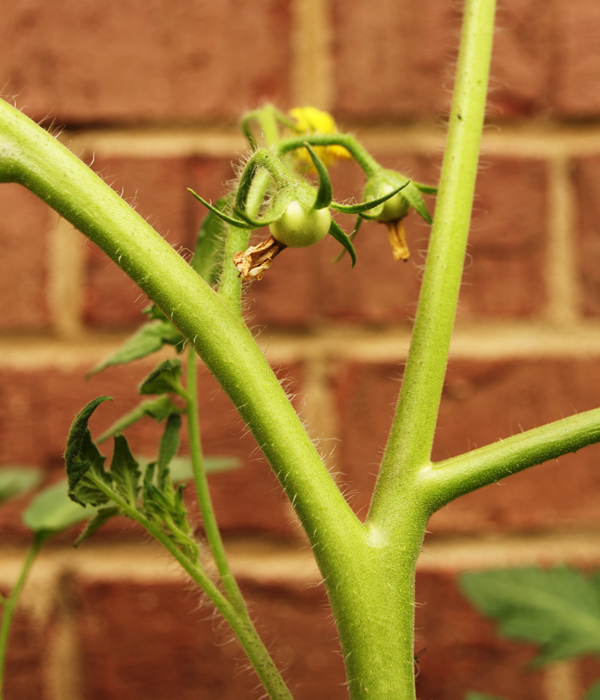 After getting up this morning, I (in what has become part of my regular routine) went out to check on my tomato plants, and lo-and-behold there are several tiny little tomatoes, where once there were blooms. Anna thought it was ridiculous how much joy I was exuding from this small success. She said to me the other day, "I hope you care for our kids as well as you take care of those tomatoes." I have been secretly enjoying the postings of the progress of these tomatoes. I love some garden-grown tomatoes, and Alabama's soil is pretty acidic, so they have a distinctive taste. I hadn't thought about birds, but I have been concerned about a couple of rabbits that I've seen in and around the back yard for the last couple weeks. Now I'll have to add birds to the list of things to worry about. If not I imagine since your tomatoes are up against the wall that you could economically pick up some kind of fine mesh product at a home improvement center that would easily screen the tomatoes and be easy to set up. We are pullin for you out West.